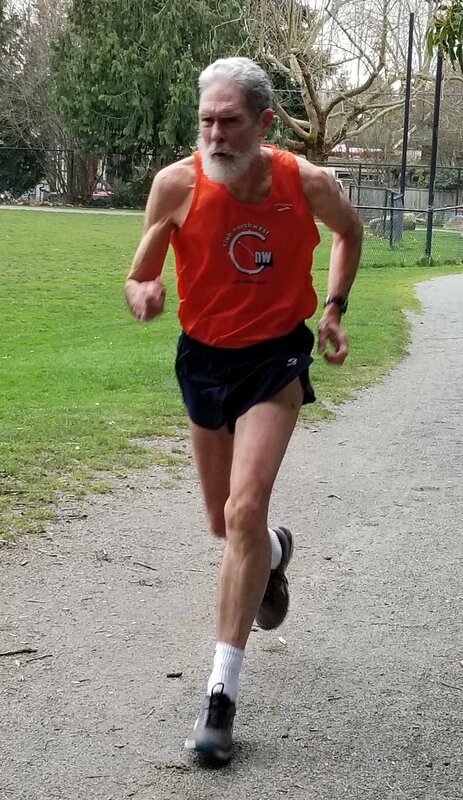 I started running in 1961 at Lincoln High School, Portland, OR. I ran too hard and burned out. So I didn't run again seriously until I'd finished my Ph.D. in Chemistry at UW and got a job in Baltimore, MD. I suddenly had free time and felt like running seriously again. I ran a bunch of local races including a couple marathons. It cured me of marathons but I found I liked the shorter stuff and focused on 5-10k. I moved back to Seattle in 1981 and joined CNW. I'm now racing at paces that I used to do easy recovery runs, but I'm still running.